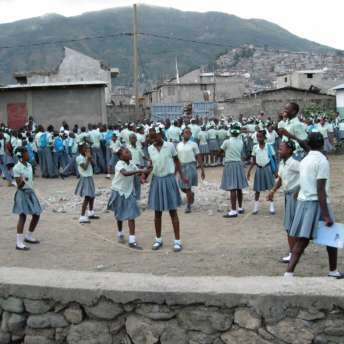 The “School of Friendship” is a primary school for children from the poorest backgrounds and for so-called “Restaveks” in the Haitian seaport Cap Haïtien. Restaveks are children (often from the countryside) who cannot be fed by their own parents and are therefore given to relatives or host families in the bigger cities. In this situation, these children are often tasked with housework or other strenuous jobs. Typically, they do not receive any money for their work but are rather compensated with a temporary sleeping arrangement and what little food the families decide to leave for them. It is a modern-day form of slavery. Host families are expected to send the Restavek children to school for half a day but this is often not the case, especially when school fees are charged. The school has become an established social pillar in the village by providing access to basic education for around 800 children every year. The school program offers two pre-school years, after which children are taught from the 1stthrough 6thgrade. The school offers education in reading and writing, (In Haitian Creole and French) basics of mathematics, and some other basic general knowledge. In addition to the school lessons the children also have the opportunity to take part in some leisurely activities, which are usually accepted with a lot of enthusiasm. Even a judo club has been founded within the school. Musical activities such as performing in a choir or a brass band are extremely popular, and children’s creativity is encouraged and strengthened through art courses. There is also a school for sewing that can show older students the way to a self-determined future and work with pay. School uniforms and student’s personal clothes are tailored at a reasonably low price and bring a sense of pride and happiness to the creators. The experience gained from this also increases career prospects for the seamstresses and sewers. Another part of the school program is to strengthen the children’s self-confidence and to inform them about their own rights. Since Restavek children are often exploited by their host families, and often experience violence and abuse strengthening the children’s identity is particularly important. It also allows the children to see a positive outlook on their future. 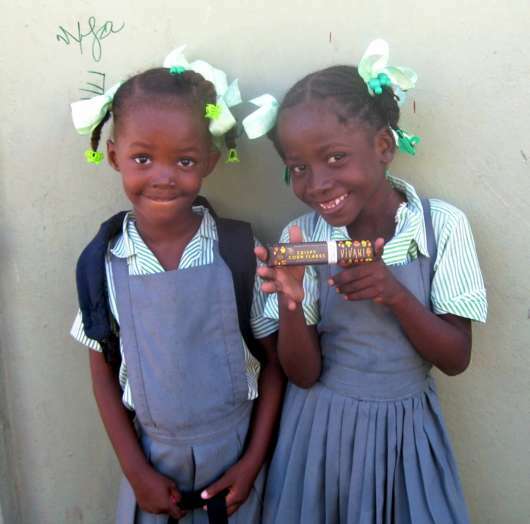 Under normal circumstances these optimistic opportunities are not possible for the children, which makes the Restavek situation a major problem in Haiti. Unfortunately, the 20thanniversary of Ecole Amitié does not create the most enthusiastic atmosphere for people involved in the project. The reason for this is because the country is once again experiencing a negative mood due to a political crisis, caused by several postponed elections of the new president. It has also been a difficult year financially for Ecole Amitié, as the school has been hit repeatedly by a number of storms and floods, in addition to a shortage of donations. 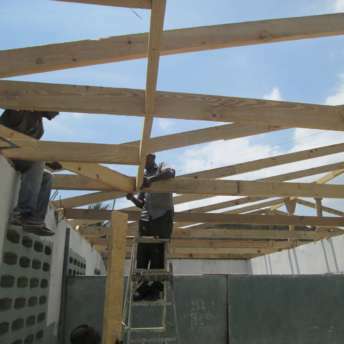 These storms occur frequently in Haiti and constantly cause setbacks due to damage to the infrastructure, for which valuable donations must be spent. Typically, money is pulled from another portion of the project causing funds to be lacking elsewhere. State subsidies are repeatedly cancelled, which is why the school is very dependent on the use of volunteers and teachers sometimes have to wait a long time for their already modest salary. 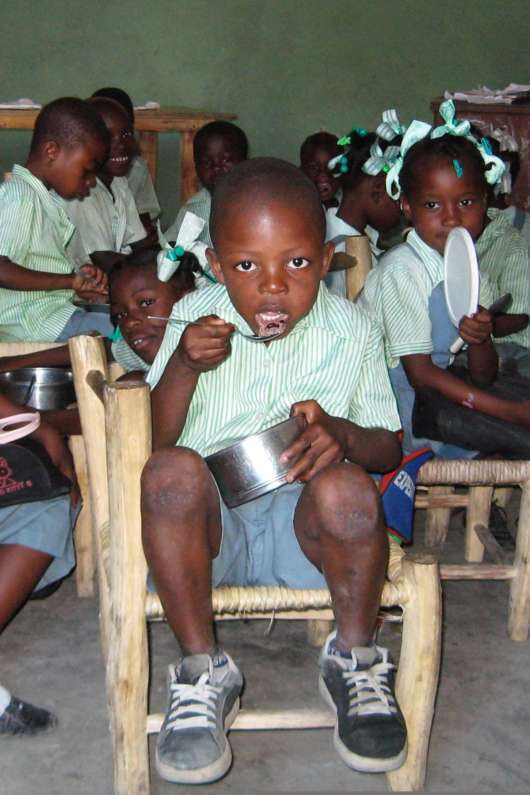 Sadly, the school is forced to suspend the ever-important school meals for children until further notice. This is due to a lack of funds and a shortage of food supplies from any state or outside aid organizations. This is highly problematic as school meals have been the only safe meal of the day for some children and an important incentive for the Restavek host families to send these children to school at all. 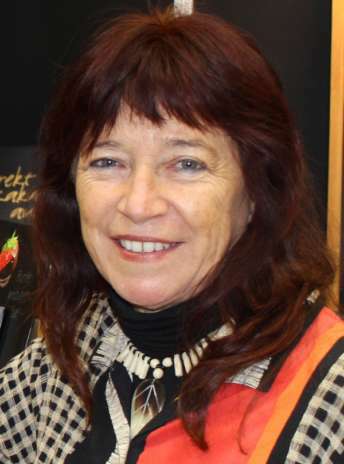 Through a personal contact to the Haitian singer TiCorn, (“petite Cornelia“ Schütt is of German descent) we became aware of the exemplary work of Ecole Amitié and decided to make a contribution to their continued survival.